Lavender is one of my personal favorite essential oils because of the familiar floral scent, how versatile it is therapeutically, and how well it blends with so many other oils. Not only is it easy to find and affordable, but it smells amazing and provides so many benefits. Whether you are looking for an essential oil to use around home, or for something to boost your health and beauty routines, Lavender (Lavandula angustifolia) can likely help get the job done. 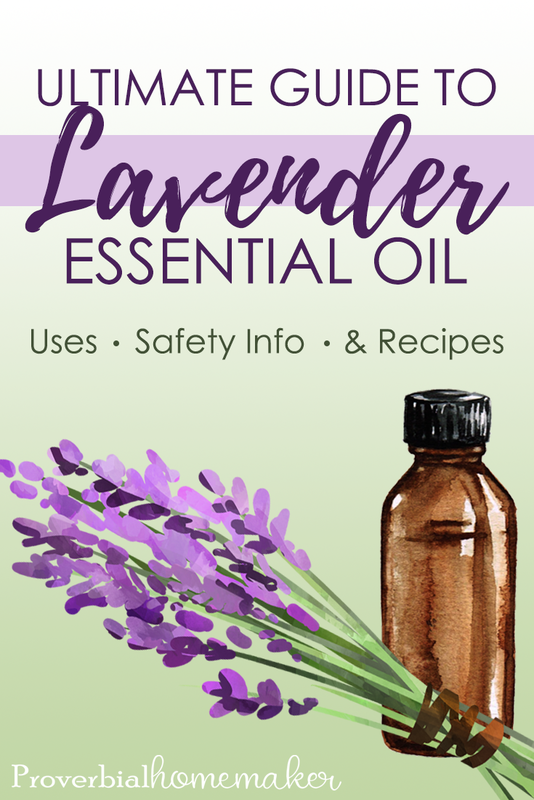 Read on to find out about Lavender essential oil uses, important safety precautions, and fun recipes! You can diffuse Lavender to kill germs in the air! I love using it in the diffuser along with Orange and Cedarwood for the kids when they are stuffed up. It is great for preventing fold and flu, building your immune system, reducing swelling and congestion in your sinuses, calming anxiety and stress, promoting more restful sleep, reducing muscle aches, and treating skin issues. It’s variety of uses and the fact that it works so well blended with other oils makes it really useful! Lavender has an anti-spasmodic effect. That means it can help with things like restless leg syndrome, tension headaches, muscle spasms, menstrual cramps, and so on. Calming and pain relief superstar. Lavender is rich in Linalol. That’s one of the more studied components, and and Lavender one of the most studied oils, due to its relaxing effect and help with relieving pain. It is used often in hospitals with cancer patients for those reasons. So we possibly have more research available about the effects of this oil than any other. Like I said, Lavender is SO versatile. It’s a fantastic oil to have on hand for first aid, cleaning, mood lifting, calming, immune boosting, and more. Here are 15 common Lavender essential oil uses to keep in mind! 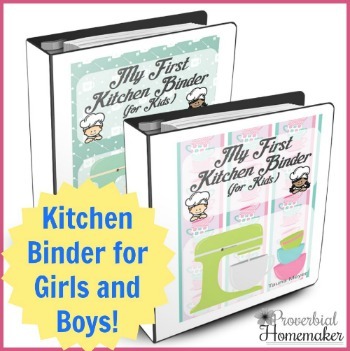 NOTE: Many of these are covered in the download of 10 recipes you can find at the bottom of this post! Leave laundry smelling fresh. Are you tired of your laundry smelling musty and dull? (Or are you like me and let it sit in the washer too long?) You can easily add a few drops of Lavender oil to your wash cycle, or, you can add a drop or two to a sock or wool dryer balls prior to tossing them in. They will help scent and refresh your clothing fast. Here are some laundry soap recipes you may like as well. Give your vacuum a refreshing boost. Have you ever noticed how vacuums can start to smell musty over time? Add a few drops of Lavender essential oil to your vacuum filter or vacuum bag. When the machine runs, it will gently warm the oils and help release a relaxing and refreshing scent. Help yourself fall asleep fast. Did you know that Lavender essential oil can help you relax and slip into sleep easily? It is often used to relieve insomnia, even. You can dab diluted Lavender essential oil on your pulse points before bed, or diffuse it in your bedroom for 15 minutes as you start to wind down. The scent will help you feel at ease and sleepy in no time. Soothe sore muscles and tension aches. Lavender essential oil works hard against sore muscles and muscle tension. You can add a few drops to a carrier oil such as jojoba or coconut oil and massage deeply into skin. Apply to areas such as the neck and shoulders where tension tends to build up during the day and feel some quick relief. Say goodbye to headaches. Lavender essential oil is one of the best oils for headaches. It can help relax the muscles around the head, face, and neck that lead to many tension headaches. The scent can help relax and calm you, allowing your muscles to relax and inflammation to subside. Massage diluted Lavender essential oil on your temples, behind your ears, and on the back of the neck when headaches are an issue. Refresh your linens. There is no need to buy expensive linen sprays when you can easily make your own. Take one cup of witch hazel and add 5-7 drops of lavender essential oil, shaking to mix well. Mist it gently over your linens and allow them to dry. This works well on bedsheets, pillows, blankets, and more. Say goodbye to itchy bug bites. Lavender essential oil can take the burn and itch out of bug bites fast. Add a few drops with a carrier oil such as argan or coconut oil, and apply to bites on the skin. The mixture will help reduce swelling, itch, and can help you feel more comfortable. You might also like this bug repellent recipe. Reduce the appearance of scars. If you have scars, Lavender oil may be able to soften the skin and lessen the appearance. You can mix a few drops of lavender oil with a carrier oil, and apply to affected areas. Over time, regular applications will help soften the scar and reduce the appearance. Treat yourself to a relaxing bath. If you are sore, anxious, and having a hard time relaxing, add a few drops of lavender essential oil to epsom salts and then toss it into your warm bath water while it’s running. It will not only help with the aches, but can help you feel more at ease, less congested, and relaxed. This is a great idea when taking a bath before bed! Soothe minor cuts and scrapes. Lavender oil can bring relief to minor scrapes and cuts and can also help keep the area clean so it can heal. Mix with a carrier oil and apply to minor scrapes so they can start healing fast and so they are less likely to scar later on. Note: Do not apply essential oils to more serious cuts or open wounds without the guidance of a doctor. Soothe allergy symptoms. Allergy symptoms may manifest as itchy eyes, itchy skin, sneezing, or congestion. Try diffusing lavender oil in your space for 15 minutes to help soothe these symptoms. You can also apply diluted Lavender to your temples or the back of your neck when allergy symptoms are really getting you down. For more recipes and tips on using essential oils for allergies, click here. Freshen up your carpet. Add a few drops of lavender oil to a cup of baking soda. Sprinkle on your carpet and allow to sit for 15 minutes. Then, vacuum the product up as you normally would. The combination of the two ingredients will leave your carpet free from odors and have it smelling fresh fast. Make simple odor bombs. By adding a few drops of Lavender essential oil to cotton balls, you can create fast and easy odor bombs. Place these bombs in stinky closets or shoes where odor tends to be an issue. 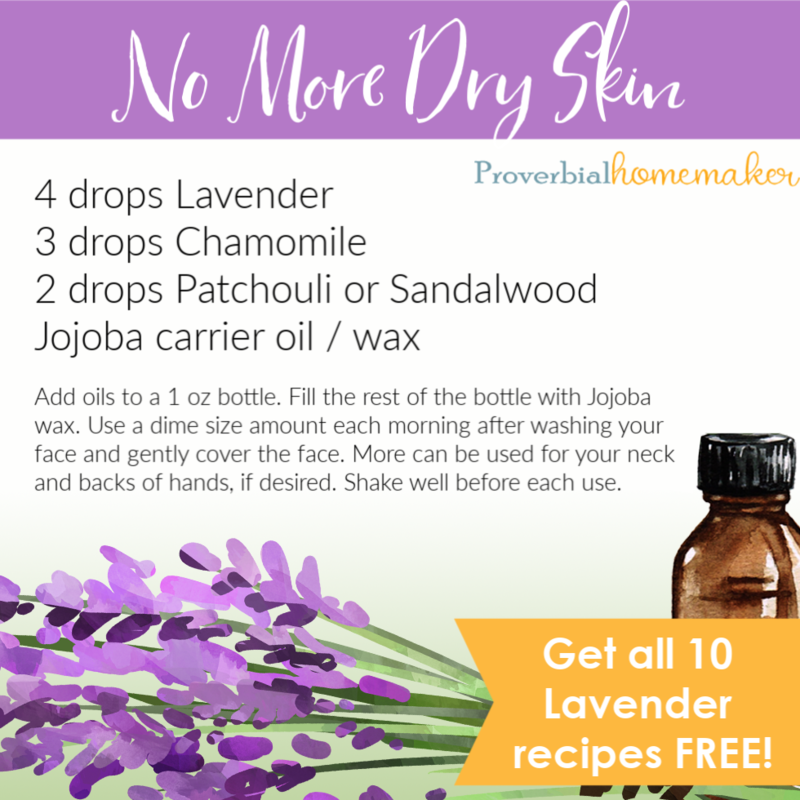 Take your Lavender oil camping! There are so many ways to use lavender essential oil when camping. When added to your homemade candles it can help keep pests away. Lavender oil can also be added to homemade bug sprays. Dab diluted oil on your temples after a long day so you can sleep easy, or dab it on bug bites to help soothe itchy skin. Enhance your beauty products. You can add a few drops of lavender oil to your beauty products such as bath soaks, conditioner, skin creams, and bath soaks. It will only enhance the scent and can further help with keeping skin smooth and healthy. Boost your immune system. Lavender has anti-inflammatory and antimicrobial properties. Combined with the stress-relieving effects it can have, these properties make lavender a great choice for stimulating the immune system during cold and flu season. Use alone or in other immune-boosting oils in the diffuser or diluted topically to help fight off the sniffles. Relieve Stress and Anxiety. Use many of the above applications and methods to use Lavender to help relieve stress and anxiety. Use every hour or two in particularly stressful situations or when you’re having trouble relaxing. This is one of the main benefits of lavender so it’s definitely one to try! The hardest part is remembering to use it when anxiety rises. Keeping it properly diluted in a labeled roller bottle helps – keep one on your desk, in your purse, and in your kitchen to make it easy to use! 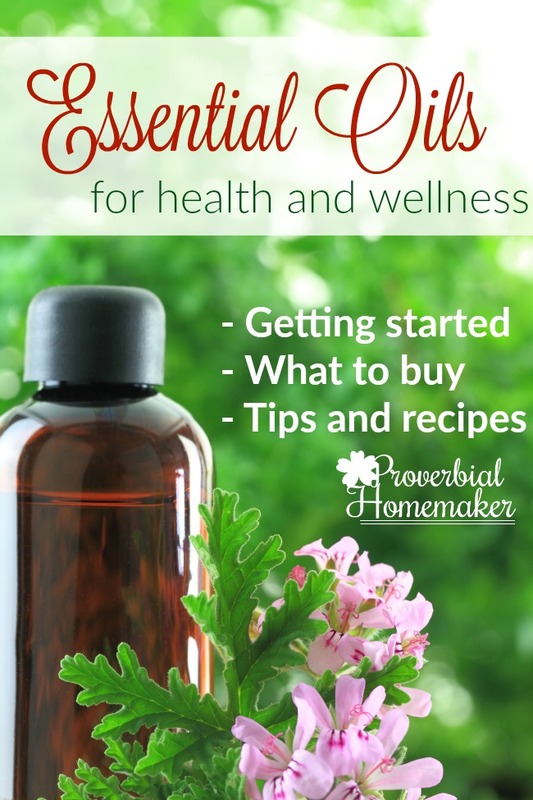 For more info and recipes on using essential oils for anxiety, click here. Now that you know some of the most amazing uses for lavender essential oil, let’s talk about some of the precautions you should know. By keeping these safety tips in mind, you can be sure you are always using lavender essential oil in a way that is best for your health! Lavender is one of the most gentle of oils. It is non-toxic and non-irritating, which makes it great for general use. It is also a kid-safe oil that can be used for children 6 months and older when diffused and diluted properly. (Patch testing a small spot on the skin is always recommended.) For any children 3 months and older, you can gain the benefits of lavender by spraying a lavender hydrosol on linens or even your clothing just before holding a baby. It’s wonderful for soothing a cranky or sick child. Diffusing: For ALL oils, be sure you are diffusing no more than about 3-5 drops of oil per 100ml of water and only run for about 15-30 minutes at a time. This is to avoid causing headaches or nausea from inhaling too much oil. Giving it a little time between diffusing sessions helps with this. Many diffusers have an intermittent setting. Topical Use: When using topically, be sure you use proper dilution rates depending on the person who is using it. Some examples of great carrier oils include fractionated coconut oil (my favorite), jojoba, almond oil, grapeseed oil, and avocado oil. General Caution: Essential oils are very potent and should be treated with the same care as commercial medications. Keep them out of reach of children, do not use internally, and in the case of lavender, use caution when using the oil if you are taking medications that make you drowsy, especially when driving. Really, there are few oils that lavender doesn’t blend well with, so you’re pretty safe adding it to most blends. Here are some favorites: Bergamot, Orange, Cedarwood, Tea Tree, Lemon, Grapefruit, Geranium, Frankincense, Vetiver, Pine, Patchouli, Rosemary, Clary Sage, Lemongrass, EucalyptusEucalyptus, Peppermint, and Chamomile. There are folks who don’t like the scent of lavender or who have a reaction to it. That can be problematic because so many recipes and blends include lavender. If that’s the case for you, or you’ve just run out of your lavender stash, here are some substitutions you can try. They also have other therapeutic effects you might consider choosing over or in combination with lavender as well so that they perform double duty for whatever issue you’re addressing. Sweet Basil (Ocimum basilicum ct. linalool): This is a warming oil that is great for cleaning the head, relieving muscle spasms and pain, healthy digestion, and reducing nausea. Coriander (Coriandrum sativum) – Coriander is uplifting for the mood and helps clear mental fatigue. It can be used for headaches, exhaustion, and tension, and is great topically for arthritis and rheumatism. Ho Wood (Cinnamomun camphora ct. linalol): This is a calming oil that helps heal infections and fight off cold and flu. Helps with muscle aches and spasms as well. Great topically such as in a massage oil. Note: This Ho Wood is of a linalol chemotype and is different than the Ho Leaf oil, or Ravintsara, which is of the 1,8 cineole chemotype and would need to be used cautiously with children. Thyme ct linalol (Thymus vulgaris ct. linalol): You’ll want to choose the variety of Thyme with the linalol chemotype to get the same effect as lavender, so pay attention to the latin name when you go to purchase! It is calming, immune boosting, anti-infectous, and great for allergies or those who tend to get sick a lot. Geranium (Pelargonium graveolens or Pelargonium X asperum): While the other 4 substitutions suggested here are rich in linelol, Geranium is not. However, it has some chemical components that give it similar therapeutic qualities for fighting viruses, calming effect, and anti-spasmodic properties. It is a great floral used in small amounts and good in kids blends in particular. You can use Lavender all by itself in the diffuser or diluted for topical use. However, it’s also beneficial to combine it with some other oils for a wonderful fragrance and powerful therapeutic properties. I’ve put together some simple recipes for you to try that feature this amazing oil. 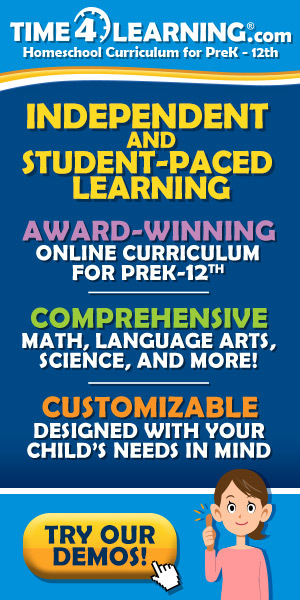 Here’s what’s included. Check out the sample recipe below and download the rest for your personal use! As you can see, Lavender essential oil can be quite beneficial to keep on hand! Consider these Lavender essential uses oil, then see why you should invest in a bottle (or two!) for yourself! What are YOUR favorite ways to use lavender oil? 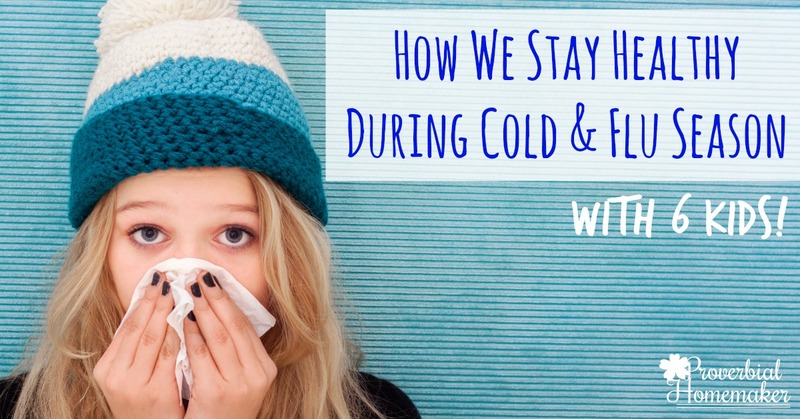 How we stay healthy during cold and flu season – with 6 kids!